Excellent piece. Llorente signed a new contract in Feb/Mar I believe. Are you sure they concede 15 shots per game? That’s even more than I thought. Stats on how many on target/off target? 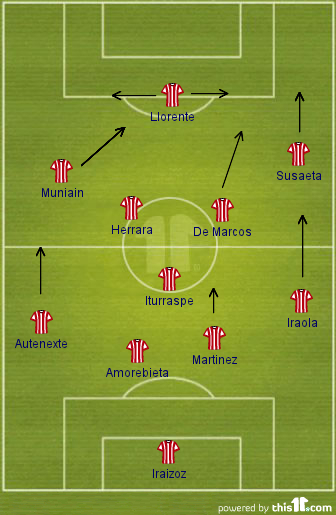 I missed Llorente signing a new contract – that’s great news for Athletic. I didn’t believe it was 15 shots per game either (stats are from whoscored.com). I double checked a number of games and it confirmed it. Even when completely dominating possession, they were still prone to offering the opponent a number of opportunities. It shows why they need to improve that little bit at the transitions or create and convert further chances themselves. With Bielsa at the helm, I suspect it will be the latter. There was talk that Llorente was about to sign a new contract… then it all went quiet and we’ve heard nothing since. Hopefully it will still happen but a bit concerning. I think it’s because of their poor start in the first 5 league games that they are only in the 6th position. I’m pretty sure they would have secured 3rd position otherwise. But next season would be hard though. Malaga will surely strengthen in the summer and Simeone’s Atletico keeps getting better. 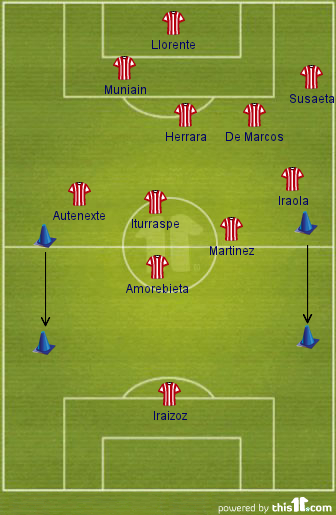 If Athletic were to qualify for the Champions League, they would be a really exciting team to watch. Also, has there been any talk of Athletic signing back Aritz Aduriz? He is more similar to Llorente than Toquero and would make a decent back-up. What about new talents? I have heard of Jonas Ramalho and Mikel Zalton. Any one else to keep an eye on? I agree if they had taken more than just 2 points in their opening 5 games they would be much closer to a CL place but they were still adjusting to Bielsa during that opening period. 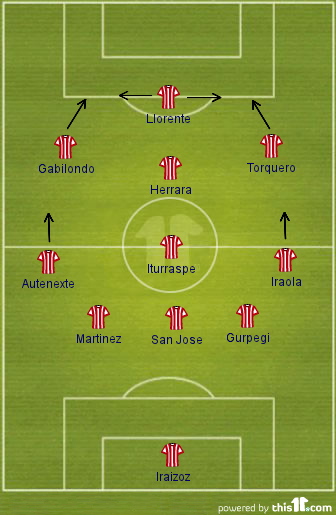 From la cantera, Ramalho is the obvious player to select as the one to make the breakthrough but given Bielsa’s tendency to work with a smaller squad than some (just as Guardiola does with Barca) it maybe a case of one or two players moving between Athletic and their B team. Not heard anything about Aduriz but he would be a better back up for Llorente. I like Torquero, he is limited in some areas but in other areas he does offer qualities. Great article, really thorough, enjoyable and accurate. Just a shame they weren’t triumphant in either final. Really nice piece, I’ve come back to this accidentally 2 or 3 times now. 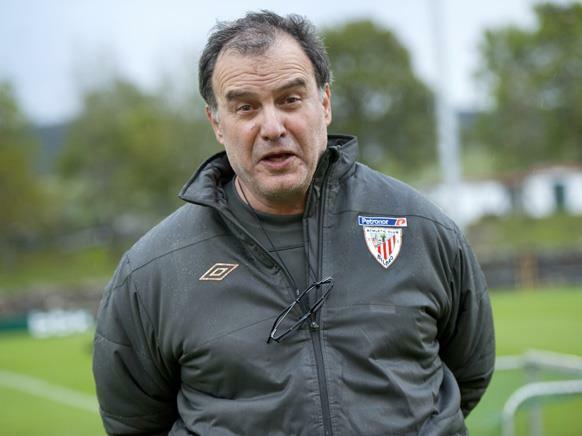 Bielsa is perhaps my favourite coach, would certainly light up the Premier League with the right club. very interesting and informative article.Bielsa should come to the Premier League and spice things up some more!